Performance goals in an austere environment don’t have to be drastically different from your performance goals back home. 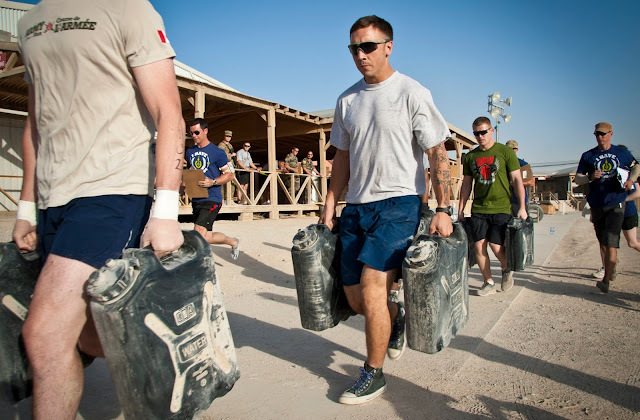 Whether your goal is to lose weight, build muscle, or pass your PT test, you can have everything you need in any environment. 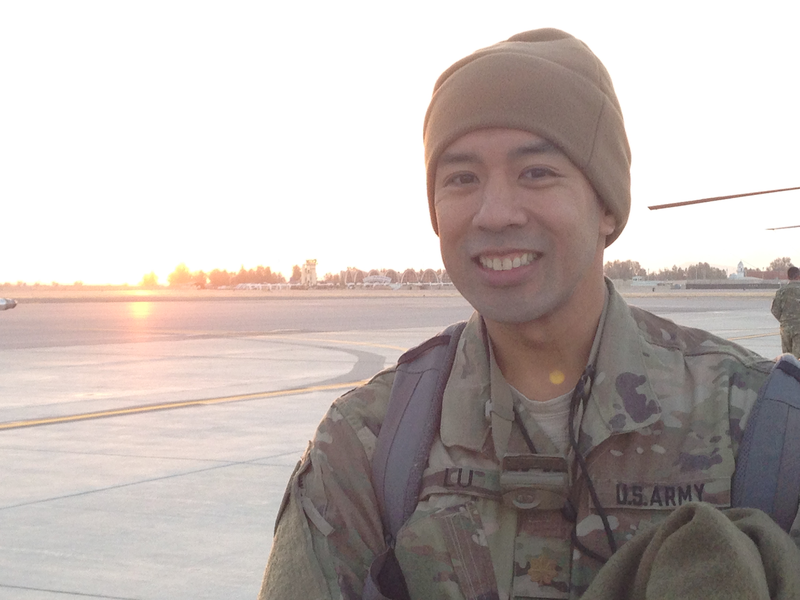 Over the past 4 years, I was fortunate to deploy to multiple locations that had everything I needed to meet my goals. 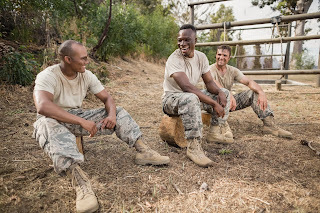 I want to offer 3 tips and share some recent experiences that might help you if you find yourself in a deployed setting or other austere environment. Tip #1: Vary your workouts. If you’re like me and want to work out every day, then you have to be flexible. I ditched my at-home routine, which includes running every day and resistance training twice a week. During deployment, I found a gym in almost every location, and there was usually cardio equipment. Most days, I woke up and completed a cardio workout prior to duty day and added weight training later in the day. 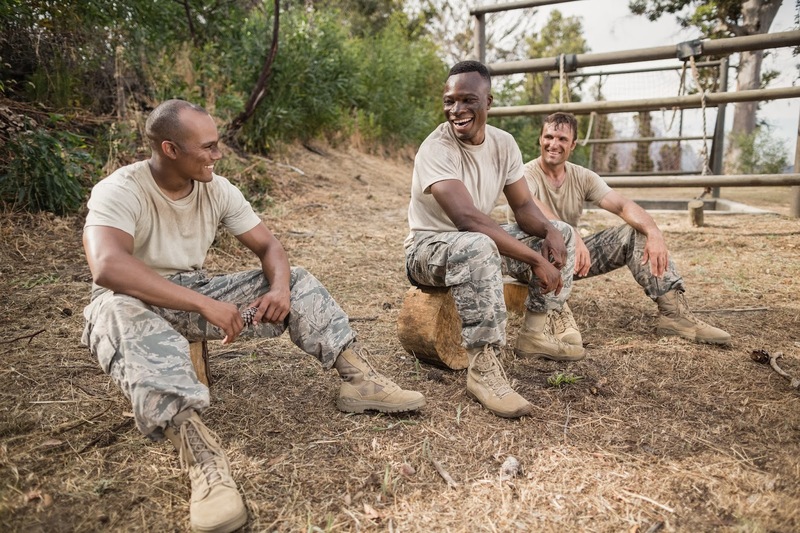 Other days, I would go to the gym with other officers and NCOs and do traditional free-weight workouts (such as back, arms, or legs—depending on the day). Sometimes I’d go with my medic to the makeshift gym, which had a tire, pull-up bars, 2 Olympic bars with weights, kettle bells, and medicine balls. There, we’d develop our own circuit workout. Lastly, if I didn’t want to do any of those workouts or the gym was unavailable, I could usually find a pick-up basketball game. So don’t be tied to regimen, and take advantage of all things around you. 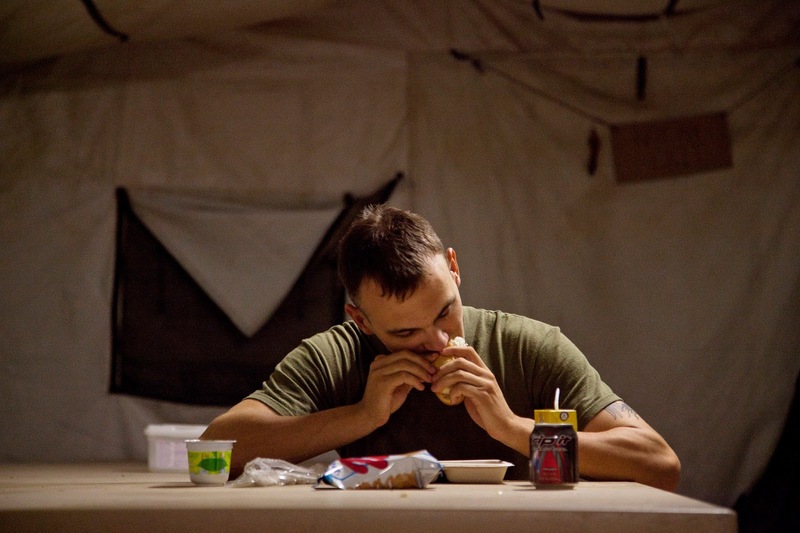 Tip #2: Eat like you’re on deployment—not on vacation. You can fall into the trap of eating junk food and desserts or only drinking protein shakes 5 times a day. Most places will have quality foods: You just have to make a conscious effort to find and eat them. I stuck to chicken, vegetables, and rice most days of the week. And I ate cereal and milk for breakfast. If you’re adventurous, you can even eat a salad, but be cautious of how the vegetables are cleaned. Sure, there are days at a time when you have to eat MREs or PB&J, but it’s the exception and not the norm. If you’re burning vast amounts of energy on missions or other operational tasks, then it might be necessary to supplement with protein. Eating well will give you the energy to accomplish your performance goals and operations during deployment. Tip #3: Ensure you give your body adequate time for recovery. If you push too hard, too fast, or without rest or recovery days, you’re more likely to get injured. Your body needs time for your muscles to repair, so they can build back up during regular exercise. Injury can prevent you from going on mission, so treat your body well. Be flexible and eat well, so you can accomplish your performance goals—whether you’re at home or in an austere environment. Myro A. Lu, DO is a board-certified, family-medicine physician who graduated from Ohio University College of Osteopathic Medicine in 2008. He completed his residency in 2011 and spent the next 6 years as a flight surgeon with the 98th Civil Affairs (Airborne) Battalion and 4th Battalion, 160th Special Operations Aviation Regiment (Airborne). Dr. Lu has multiple deployments to both PACOM and CENTCOM AORs. Currently, he’s a primary-care, sports-medicine fellow at Fort Belvoir Community Hospital. Dr. Lu hopes to blend his previous experience with the tools he gained through fellowship.